Located along the Connecticut seashore, Bridgeport is home to almost 200,000 residents. This shining city by the sea is just 60 miles from Manhattan and offers a selection of museums, galleries, parks, and even the Beardsley Zoo. Seaside Park is a great place for anyone who is ready to enjoy relaxing time on the beach, and Bridgeport has a wide selection of holistic dentists standing by when there is a dental emergency. From holistic general, cosmetic, and restorative care to a whole holistic medical and dental facility, Bridgeport is a great place to be when you need a new dentist. The Emergencydentistsusa.com website makes it simple to choose a new holistic dentist in Bridgeport by giving you the information that you need in a single location. Just log onto our website and scroll through our hand-selected Bridgeport holistic dentists. 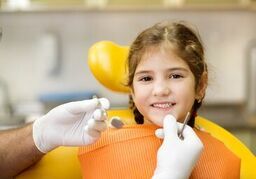 Click on the dentist with services that suit your needs, and set up your first dental appointment. You can also find information like office hours, driving directions, and even insurances accepted on the Emergencydentistsusa.com website. Need just a little more help selecting a new Bridgeport holistic dentist? Call our toll-free 24-hour dentist finder hotline. Speak with a caring agent who is standing by to set up your first appointment and to offer you driving directions so that you do not get lost on the way to visit the dentist. Remember to bring your dental insurance card, a photo ID, and any applicable copayment with you to visit your new dentist. You should arrive at least 15 minutes early to fill out the new patient paperwork and ask any questions that you might have for the dentist. Bridgeport is a lovely Connecticut city with plenty to offer for visitors coming to enjoy the fall foliage or the great summer weather. Bridgeport also has a variety of holistic dental offices that are standing by to care for your dental issues. Check out three of our top choices below. Description: With both dental and medical services in a single office, Whole Body Medicine is a one-stop shop for anyone who is seeking holistic services. Dr. Breiner offers biocompatibility testing along with conscious sedation and cavitation treatment in this completely holistic dental office. A healthy start system created just for children sets up a lifelong love of whole body health. Description: Gentle general dentistry is the norm at Dr. Kundel’s office in Stamford. This full-service dental clinic offers the removal of those amalgam fillings and a variety of holistic dental services in an anxiety-free atmosphere. A caring staff works hard to ensure that each visit to Dr. Kundel’s office is a wonderful visit. Description: From children to seniors, Kool Smiles Dentistry provides top-notch dental services in a calm and convenient setting. A large variety of dentists in a single office make it simple to receive care for cosmetic problems, orthodontics, or even dental surgery without having to visit several places. Office hours that suit your schedule are also available at Kool Smiles Dentistry. The search for a holistic dentist in Bridgeport usually begins with an interest in finding the dental products and services that are best for your overall health and well being. When you choose a holistic dentist over a standard general dentist, you are making an effort to control the products that are introduced into your body. From mercury-free fillings to x-rays with up to 80 percent less radiation, a holistic dentist focuses on the health of your whole body, rather than just your dental health. Get a bright smile and a healthy body by choosing a Bridgeport holistic dentist today. Anyone searching for a new holistic dentist should check to see if their chosen dentist is licensed and certified in the state of Connecticut. You can use the Connecticut Dental Association’s website to search for important licensing documents right online. Just log onto the website, enter your dentist’s name in the search box, and click “enter.” This allows you to view the dentist’s current licensing. You can also visit the dental office prior to your first appointment to see those documents. Most dentists keep them on display in the office.